The U.S. Hotel (2) | Historic Jacksonville, Inc. 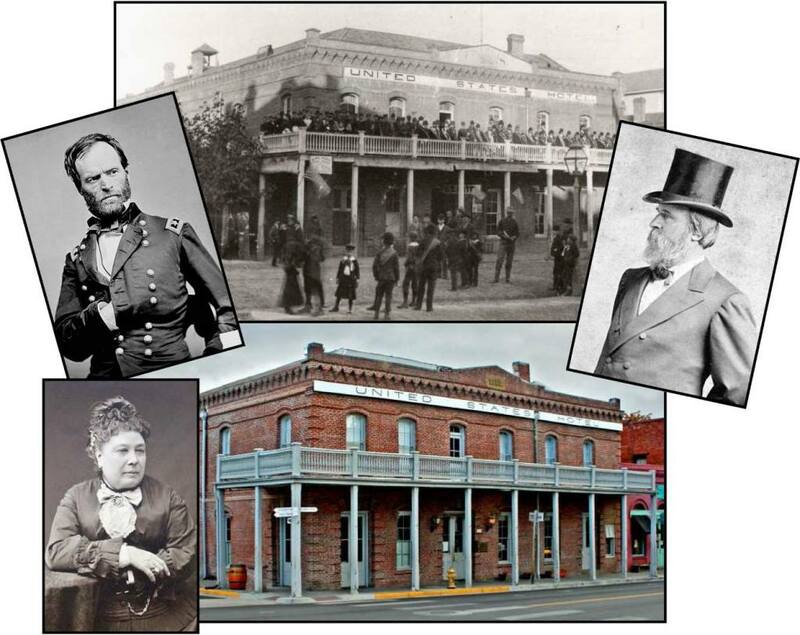 Shortly after the U.S Hotel was completed in 1880, Jacksonville and proprietress Madame Jeanne DeRoboam Holt welcomed President Rutherford B. Hayes and his entourage for an overnight visit with brass band, speeches, and elegant dinner. Madame Holt also presented the presidential party with a bill double that charged by San Francisco’s finest hotel. General William Tecumseh Sherman, a member of the presidential party, complained about the cost, saying they didn’t want to buy the hotel, only to rent rooms. Madame Holt is said to have replied that the President of the United States could afford to pay a little more than common people….